Explore this critically important site, close to Jerusalem, mentioned in the Bible time and again. Delve into the history of the highlands of Judah and hence, the history of ancient (biblical) Judah, as well as on the status of Jerusalem and its countryside. Shed light on the cult history of Judah and Jerusalem, including the question whether a temple (to the God of Israel?) existed here in late-monarchic times in parallel to Jerusalem. Discover the historical background of important biblical texts, such as the Ark Narrative. Deploying cutting-edge archaeological methods and scientific techniques for the first time on a site the highlands. Have an amazing summer experience in the Holy Land! 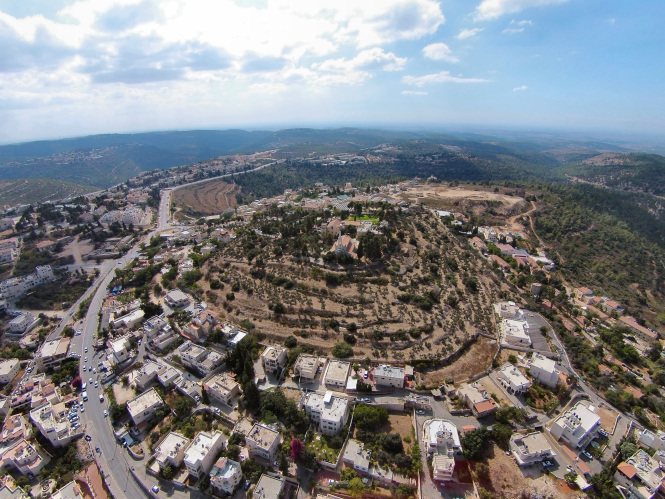 Kiriath-Jearim is located in a commanding spot in the Judean highlands, 12 km west of Jerusalem. The Arabic name – Deir el-Azar – probably stems from the reference to Eleazar, who according to 1 Samuel 7: 1 took charge of the ark of the covenant when it was brought to Kiriath-Jearim. The identification of Deir el-Azar with biblical Kiriath-Jearim is accepted unanimously. The mound is ca. 250 x 250m. in size = 5 hectares, one of the biggest Iron Age tells in the highlands. It has not been damaged by modern construction. The site is mentioned many times in the Bible: as a border town between the territories of the tribes of Judah and Benjamin, in the Ark Narrative, the list of returnees from exile and other places. According to the Book of Samuel, the ark had been captured by the Philistines following the defeat of Israel in the battle of Eben-ezer. It then spread havoc in Philistines cities and was hence returned to Beth-shemesh. From there it was taken to Kiriath-Jearim and finally brought by King David to Jerusalem. The Ark Narrative and the strong polemic against the town in the Bible hint at the existence of a temple in late-monarchic times.